A day after a suspected drunk driver and a 14-year-old boy were killed in a Christmas Day crash along a San Jose highway, family members of the driver came to apologize to the teen's family. "She made a bad choice," Rochelle Ybarra told NBC Bay Area through sobs on Monday, identifying herself as the godmother of driver Jennifer Zamora. "I do want to apologize. This was a bad accident. There is nothing we can do. To the family of the little boy, we're very sorry. I feel for you guys." Her voice cracked and wobbled as she spoke at the deadly crash site: Capitol Expressway and Snell Avenue. That's where San Jose police said Zamora's white 2012 Chevy Malibu crossed the center median on Sunday about 12:30 a.m. and slammed head-on into a silver 2004 Lexus carrying two parents and a 14-year-old boy. San Jose Police Sgt. Enrique Garcia said officers suspect alcohol played a role in the crash. Both the boy and Zamora, 25, died. "Anyone else who drinks and drive, please make a better choice," Ybarra said. The Santa Clara County Coroner's Office was closed on Monday, the day after Christmas. But relatives identified Zamora, who also went by the nickname India. 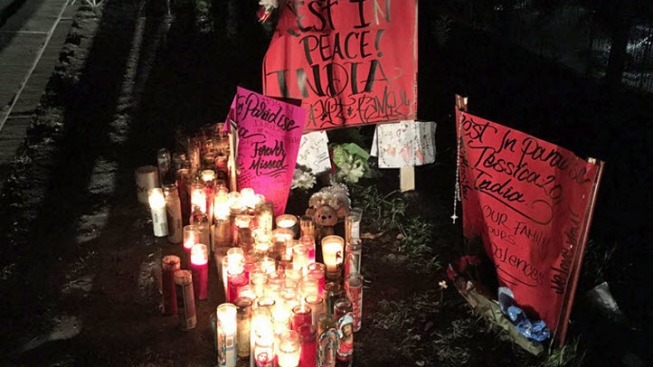 Signs that read "RIP India" and "We love you Jessica" marked the deadly site. 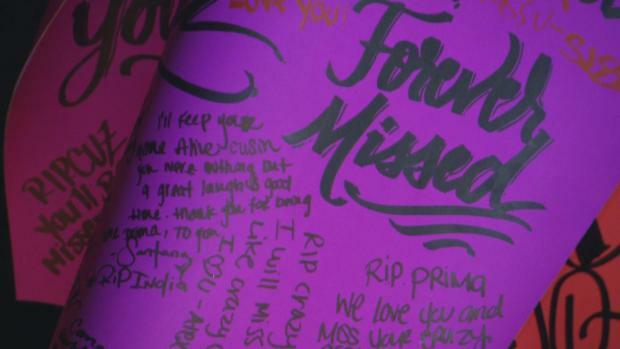 Zamora's family and friends organized a vigil there at 6 p.m. Monday. The boy has not yet been identified. His parents were taken to area hospitals. According to police, they did not sustain life-threatening injuries. The makeshift memorial showed no visible signs of his death, and people commented on social media how awful it was that the driver's life was being honored, but not the boy's. But efforts to reach the boy's family were unsuccessful because he had not yet been named. "We feel really bad for the other family that was involved," Prado said Monday in a phone interview. "Our hearts go out to them. This is a shocker. Cherish every moment with your family. You never know what will occur." Prado would not go into any more personal detail about Zamora, including whether her niece had a tendency to drink and drive or suffered from an alcohol problem. All Prado would say was, "Alcohol played a role, but it's still under investigation." Ybarra said that Zamora's Snapchat storyline from the night in question shows she was given free drinks from a nearby bar. NBC Bay Area could not independently confirm the Snaps, and the bar manager did not want to speak on the record about what occurred. Alongside the Roman candles, teddy bears and flowers at Zamora's memorial were dozens of Pacifico and Rodelo beer bottles, where some say it can be a custom among some communities to pour out a bit of alcohol on the site of where a death occurred. But before noon on Monday, Zamora's family members, and even strangers, came to remove the bottles, which had drawn sharp criticism on social media as being highly inappropriate. Some of Zamora's family asked that well-wishers refrain from putting any more beer bottles at the scene. A deadly crash occurred at Capitol Expressway and Snell Avenue on Dec. 25, 2016 in San Jose. Marking a memorial site with alcohol has been long-steeped in popular culture, but can be viewed by critics as a cruel symbol, according to groups like Mothers Against Drunk Driving. The custom of placing alcohol at memorial sites has roots in African religious tradition of pouring libations in honor of fallen ancestors, according to a sociologist interviewed in a 2002 feature by the San Francisco Chronicle. In modern urban life, alcohol bottle markers have become increasingly common in certain cultures, the Chronicle reported. In Hawaii, a memorial site in that was dotted with beer bottles at a teen's memorial site raised the ire of the MADD chapter there, WALB, an NBC affiliate, reported. "It just seems so insensitive," Abigail Nickell, the executive director there told the station. On NBC Bay Area's Facebook, several people were also criticizing the beer bottles, before they were cleaned up. "What's with the beer?" Gustavo Nunez wrote. "The memorial should be taken down. It's offensive." Fani Gonzalez wrote, "how disrespectful for the boy and his family for people to put more beer bottles at the memorial."